A broad line of shaft collars and couplings for commercial outdoor power equipment requiring the adjustment and repositioning of components is being introduced by Stafford Manufacturing Corp. of Wilmington, Massachusetts. 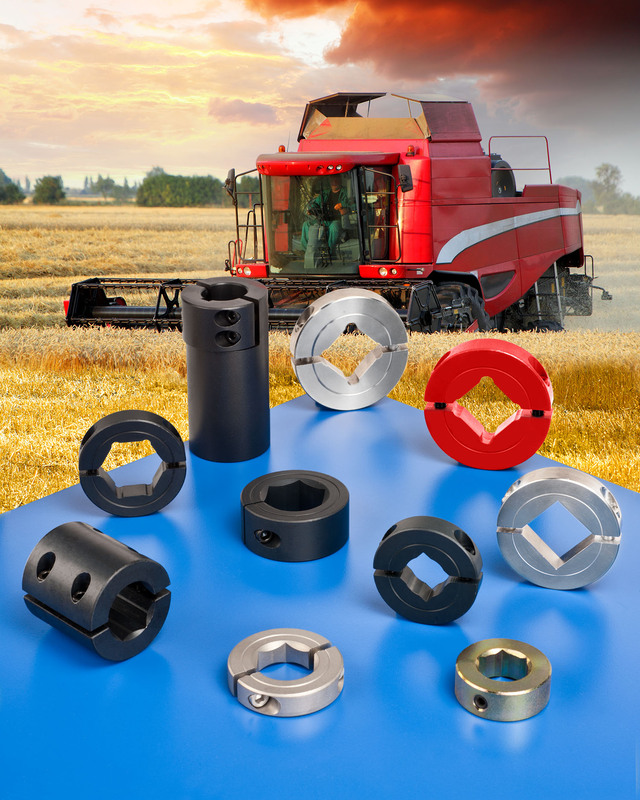 Stafford AG Shaft Collars & Couplings are designed for use in commercial outdoor power equipment where the adjustment and repositioning of blades, cutters, arms, and levers are required. Featuring the hex and square bores typical of large drive systems, they can be supplied in sizes from 1/2” to 8” in the diagonal and come in 1- and 2-pc clamp styles and set-screw types. Ideal for simplifying machinery building and maintenance, Stafford AG Shaft Collars & Couplings are available off-the-shelf machined from aluminum, stainless steel, and steel, which can be plain, plated, paintable, or case-hardened. They can incorporate features such as threaded and keyed bores and specials to match exact customer specifications can also be provided. Stafford AG Shaft Collars & Couplings are priced according to material, style, size, and quantity. Price quotations are available upon request.